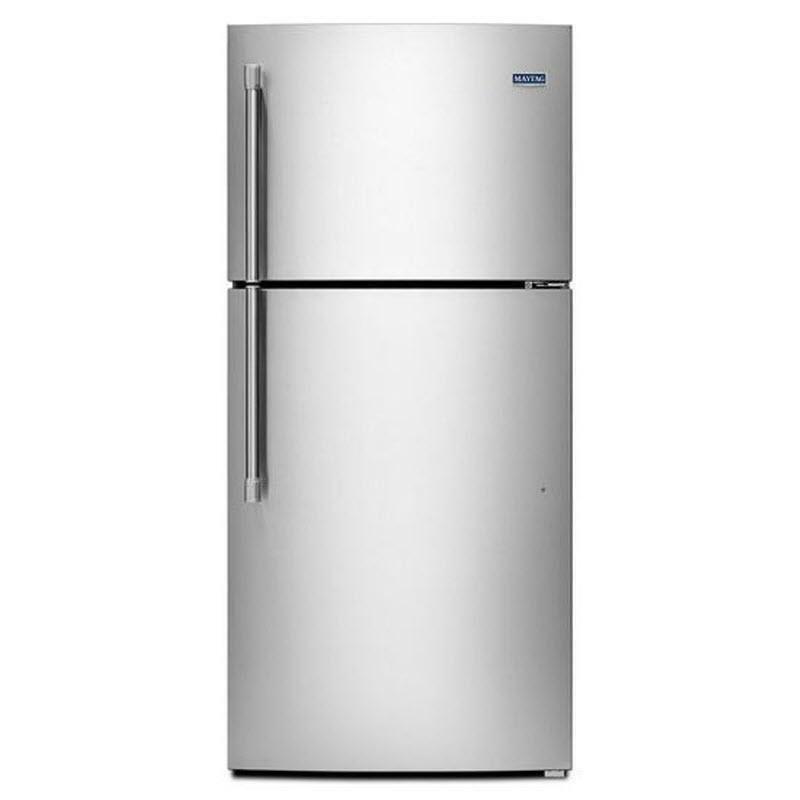 No matter what you put it through, a Maytag® top-freezer refrigerator is tough enough for any kitchen. This 19 cu. 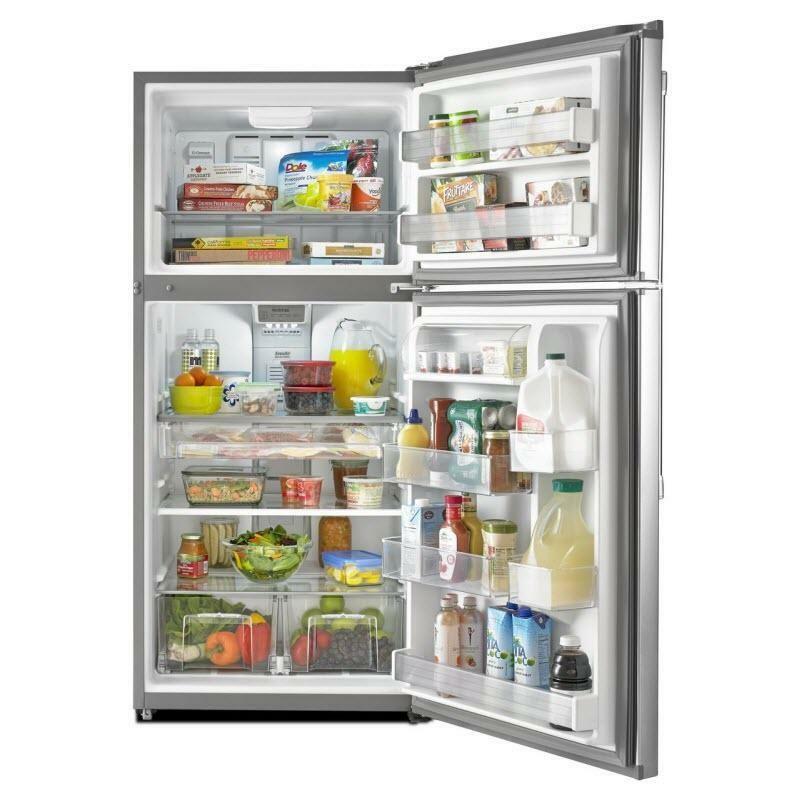 ft. refrigerator offers the PowerCold™ feature which uses a blast of cold air to help make sure the temperature is right where it should be, even when the whole family's been browsing with the door open. 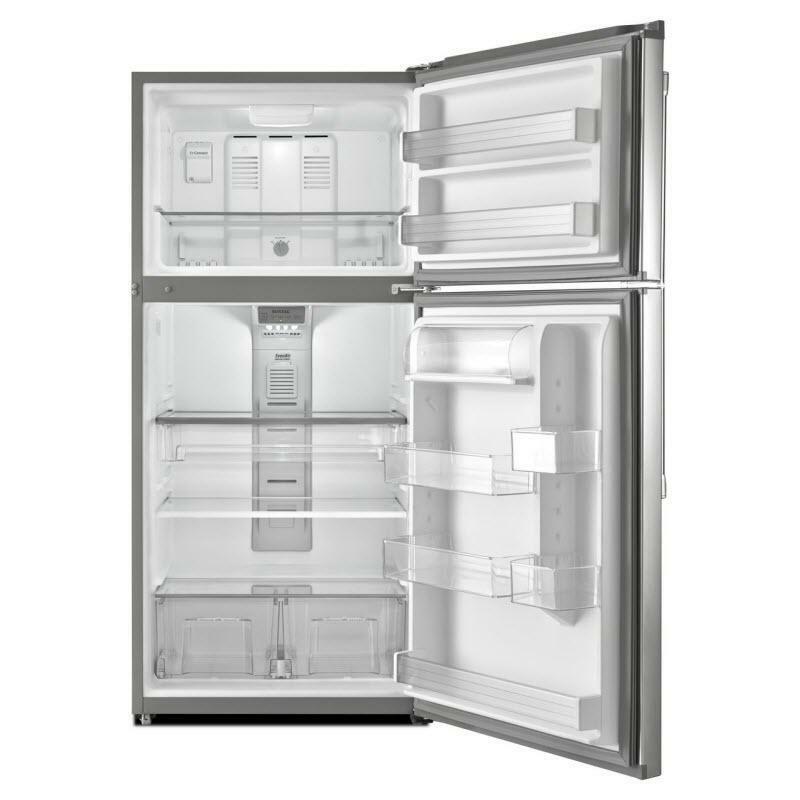 Equipped with LED lighting and a full-width pantry, this refrigerator is built to last. Total 19.10 cu. ft. / 0.54 cu. m.